Looking for luxury products that will make the perfect gift for a husband, boyfriend, brother, friend or colleague. From luxury apparel to quality cigars and bourbon, we’ve pulled together a list of some of the best products to give as gifts to the men in your life. One of these products is sure to make the perfect gift. And a memorable one at that. If you have an outdoor, golf or college sport enthusiast in your midst, look no further than Peter Millar. A new favorite brand for the SharpHeels team, Peter Millar combines rustic and sporty with luxury fashion. A few of our favorite products – Maxwell Lined Sweater – made of soft merino wool, so it looks luxurious on the outside, but lined with a wind-resistant poly lining to stay warm on the golf course or running around town. Pair with their performance trouser, which are built for sport with comfort stretch and moisture-wicking, but look like a business dress pant. We also love their rustic, yet chic, leather jackets. The Steamboat Jacket and their Field Jacket combine luxury craftsmanship with sleek design. And, for college sports lovers, Peter Millar offers luxury college apparel for the school of their choice, so they won’t have to wear the same clothing the college kids are wearing. It’s time to graduate to a more luxurious style and still support their favorite college team. Established in 1819, Jacob Bromwell is the United States’ oldest kitchenware and housewares manufacturer. All of their heritage-inspired products are handmade in the United States. And their world-famous copper flasks are works of art. Perfect for men who appreciate the value of handmade craftsmanship and are also in need of a good flask for his next sporting event or camping trip. 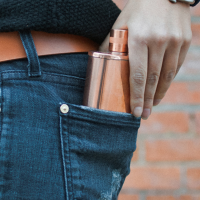 Our favorites are – The Freedom Flask, a beautifully hammered copper flask, The Vermonter Flask, classic copper flask handmade in Vermont and the limited edition Emerald Flask, with its brilliant blue rustic tint. For the bourbon lover in your life, you can’t go wrong with one of Pappy Van Winkle’s aged premium bourbons, but be ready for a dent in your pocket book with prices ranging from $900 to $3200. Created as a side venture by a man whose heritage in bourbon goes back generations, the premium quality of the bourbon’s from Old Rip Van Winkle Distillery are recognized as one of the best bourbons on the market. For a more affordable option, consider Blanton’s. Over a century old and one of the first specialty Bourbon’s, Blanton’s Kentucky Bourbon is a classic treat for bourbon lovers. And at an affordable price around $50. Know someone who loves to grill and BBQ, but is still using old equipment and accessories from over a decade ago? It’s time for him to upgrade with new equipment. And, since it’s a gift, our motto is to go for a combination of luxury and uniqueness. So, we’ve pulled together a few of our favorite products that are just that – BBQ Briefcase – with stainless steel utensils, this briefcase is ready to head out to the backyard or the tailgate. Consider adding a couple sets of the Stainless Steel Branch Skewers as an added bonus. For the tailgate enthusiast, we recommend a Portable Charcoal Grill. 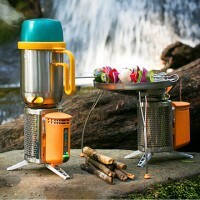 And for the camper, the Portable Camp Grill Make sure to pick-up a few unbreakable Silicone Wine Glasses (for you). We also love premium condiments as gifts – Beer infused BBQ Sauce, Grilling Spice Set, and Artisanal Ketchups. Know any dapper gents interested in sophisticated English apparel? Look no further than English Laundry. Drastically more affordable than most of the product categories on our list of luxurious gifts, but matching in quality and style. We are obsessed with their dress shirts with the detailing they add in the collars and cuffs and just $49 (on sale). A few of our favorites in Black, Blue Check and Red pair well with jeans and a pullover sweater. And their classic British style suits in brown and Grey windowpane are sure to set any man apart at the office (Save 40% with code: SAVE40). Know someone who’s a budding mixologist, who’s always at the home bar building cocktail concoctions? We’ve found a couple of gifts that are perfect for him. 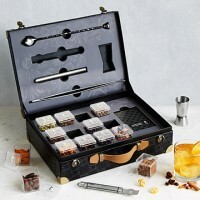 Consider the Deluxe Mixology Case, stocked with 12 botanicals and luxury bar tools, this case is perfect for someone who’s ready to step-up their cocktail game and just needs a little nudge. For the traveling mixologist, we love this Travel Mini Bar. It’s perfect for tailgating and glamping. We also love these mini carry-on cocktail kits – Moscow Mule, Hot Toddy, Gin & Tonic and Old Fashioned. They’re perfect for the mixologist who’s a frequent flyer. Founded in 2000 in response to a void in premium skincare products for men, Jack Black is one of the best there is. All of their products are made with the finest ingredients and fragrance-free. Tested and approved by SharpHeels’ significant others, we love their Supreme Cream shave cream (pair with a shave brush and double edge razor for a gift set) and their Nourishing Oil. 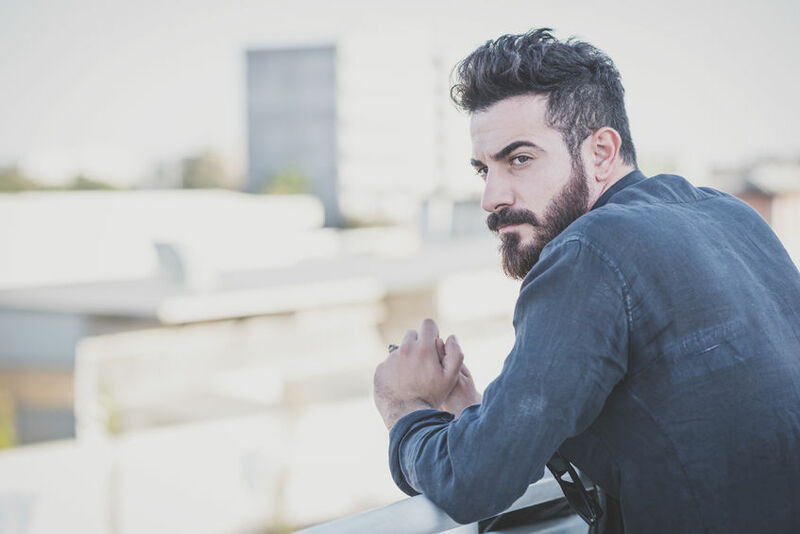 A few of our favorite products that are perfect for gifts – Beard Grooming Kit, for the gentlemen with a full beard. Skin Charmer Set, the men who need a little extra hydration, and the Super Shave Set, for the men who aren’t sporting a beard.